The Omega Stock features many design elements from a LE-style stock while incorporating a host of upgrades. The unlocking buffer tube lever allows for easy stock removal from the rifle, and the recoil pad aids in contact point traction as well as impact dispersion. 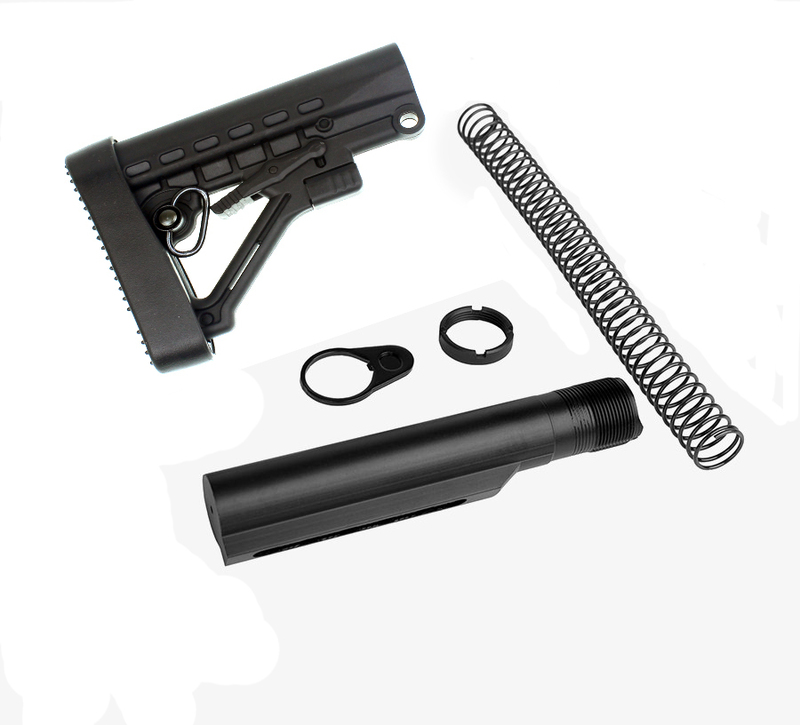 The stock kit comes with everything you need to get your rifle up and running, including a steel endplate, castle nut, buffer, buffer spring, and a Mil-Spec anodized aluminum buffer tube.